I never bothered to cash out, which is an option and with no penalty like COMC has, and figured it was time to make use of some of that “free” money. 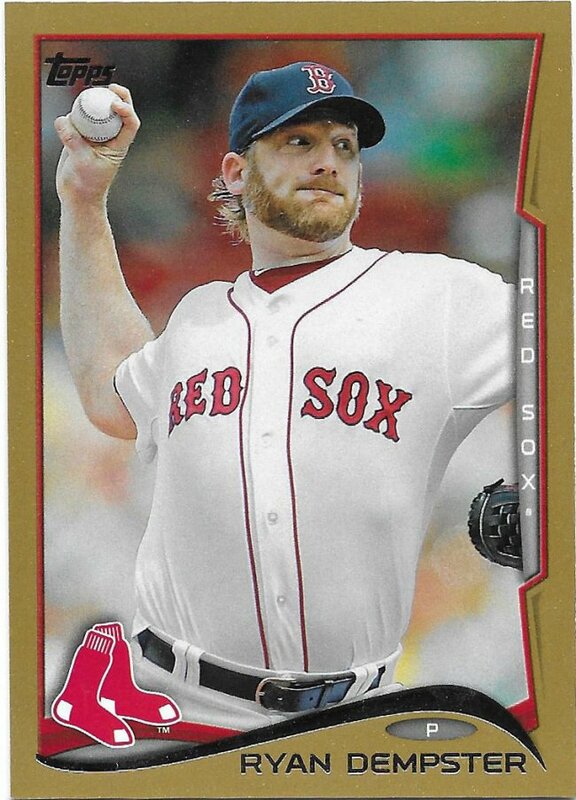 So, I just used a decent chunk of that credit to bolster my Ryan Dempster collection (and all the others). Maybe I should do a post on how I shop on there? Let me know if you’d be interested in my tactics, but the main this is I take one player (my first go-round it was Carlos Marmol), find cards I need, check the sellers postage rates and then load up one seller at a time and move on to the next card I need for the player, find the next seller, etc. 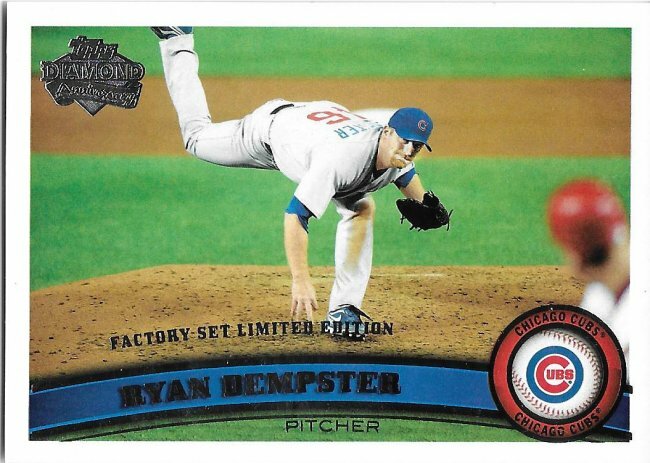 After going through this process to grab all the Dempster cards I needed that I was willing to buy at this time, I added 222 cards for my various player collections (16 Dempsters) to be sent to the Sportlots box. I would love to make it a habit of showing off more cards than I take in with a couple exceptions (like larger trades and the National). For that to work out in this case, at my self-imposed 9 scans per post as a maximum, I’d need up to 25 posts to slightly stay ahead, barely. With that in mind, here’s what I’m going to do. 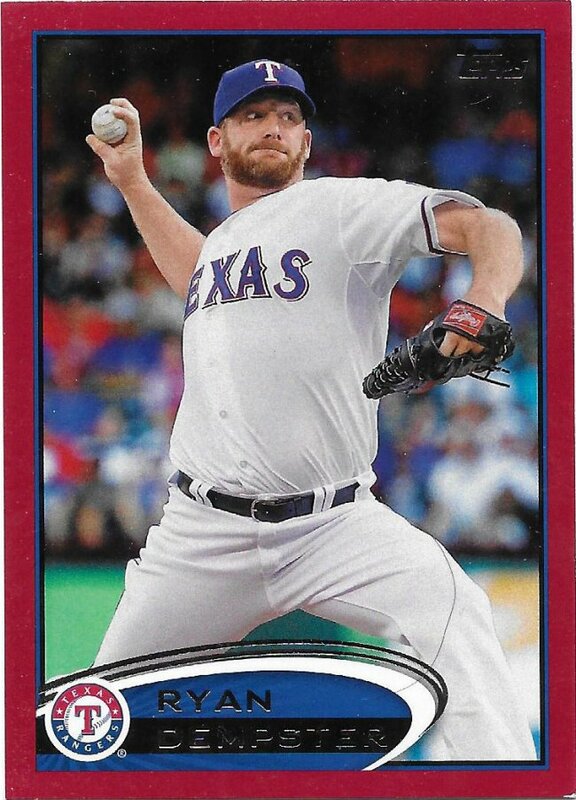 Before I take shipment on those cards, I’m going to try posting at least 222 cards on here. Multi-card scans will count as multiple cards as long as they’re part of my player collections. And starting with this post, I’ll add a little countdown saying how many are left to meet my goal and trigger delivery. 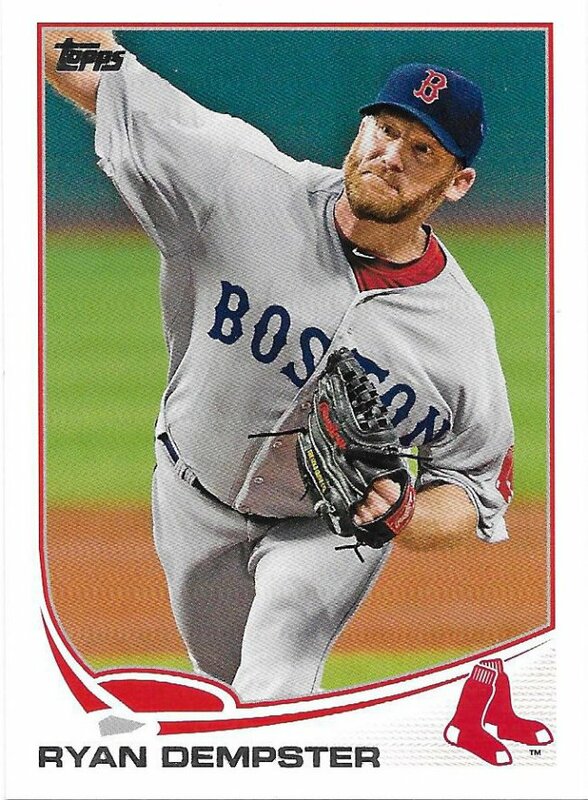 Today, I’m going to show most of the Ryan Dempster cards I got in my previous Sportlots credit purchases from last year. I have no idea how these 1st edition cards were distributed, but I do know they are boring. 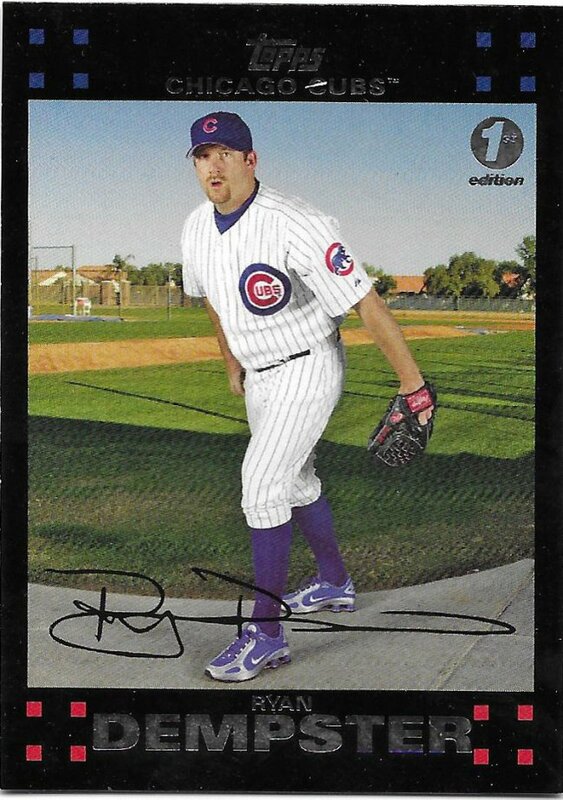 My focus on these spending sprees is exclusively with parallels and inserts. 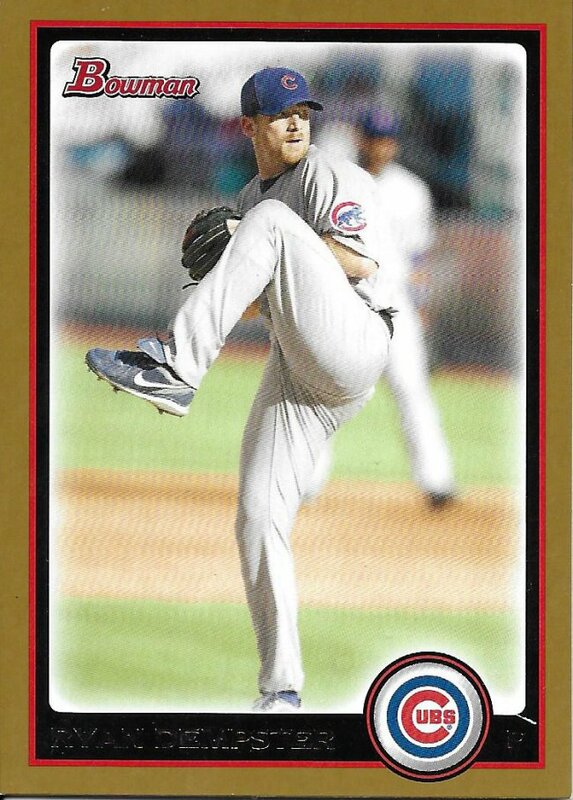 People are practically throwing away the Bowman Gold papers, so there are quite a few coming to me soon. 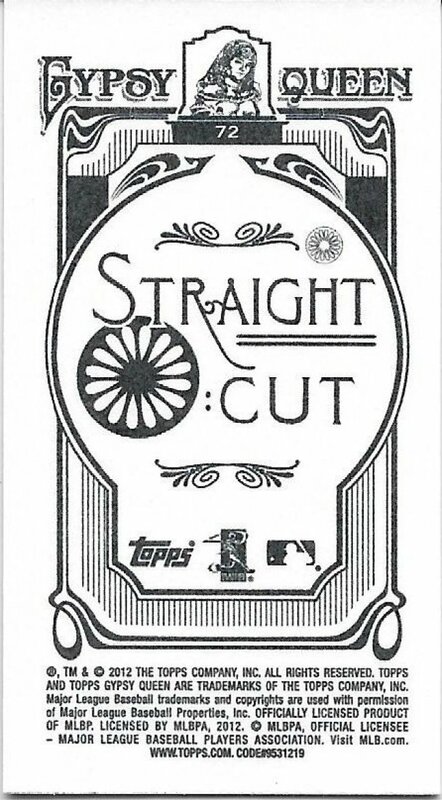 I had this at one point, but my set from the online contest thing was damaged and they didn’t have any more to send back to replace it so it turned into a bunch of those die cuts that I traded away. Good to have it back. My thought is that I’d rather get base cards in trades. Especially since the lowest price Sportlots allows is 18 cents. That’s a bit high for most modern sets. Could you imagine paying 18 cents for a regular 1987 Topps card? That’s your only choice. But that same price for this mini? Yep, that’s most likely what I would have paid. Minis are a big focus as well. There’s so, so many to chase and thankfully there are a decent number of cheap ones. I don’t go to many card shows or shops but when I do, I don’t see minis very often. In terms of 2012 Update, I have them all now, although this could use an upgrade. You can see the frayed corner in the bottom right. 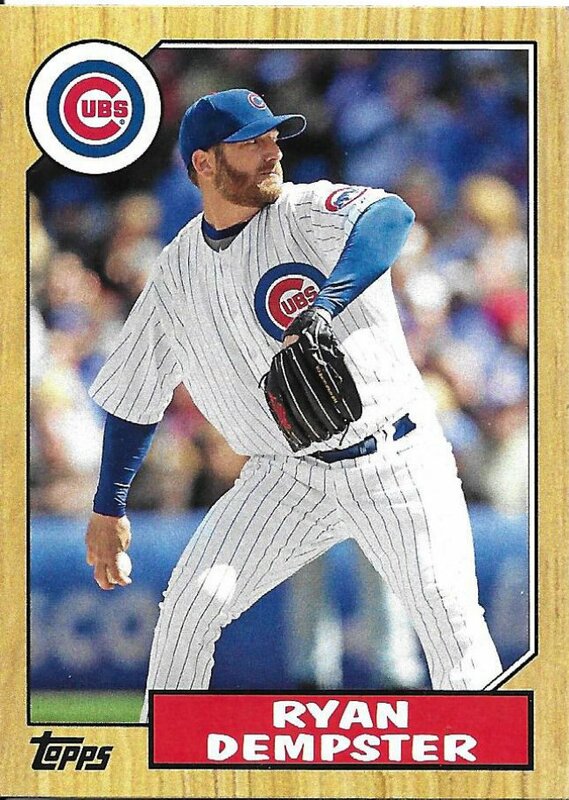 That’s low priority though, and quality of cards can be hit and miss since there are rarely pictures and nearly everything I buy is less than $1 and usually less than 50 cents. More minis, but just a different size. These are easy to pick off as well. See? Easy. I have a small stack of minis coming in this next batch, too. 213 left to show before taking Sportlots delivery. 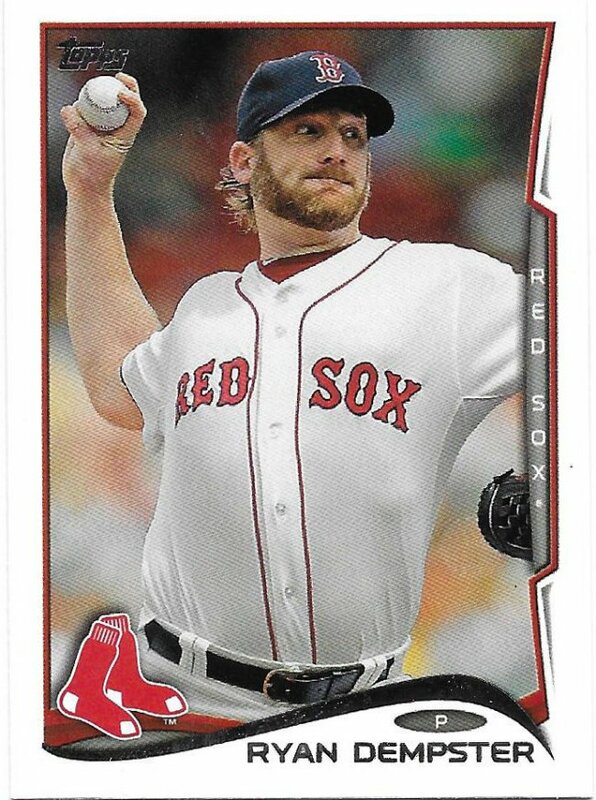 I’d probably order so much more off of Sportlots if there were 5¢ cards… but since there aren’t, I tend to stick to inserts, parallels, and rookie cards I’ve targeted. You picked up a few cards I never even knew existed. Might need to check my player PC’s to see if I own one.